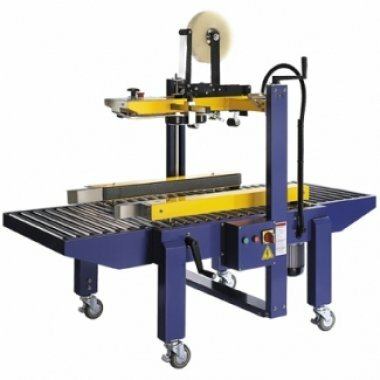 A table dispenser makes it easier to work allowing the cut-off length of the adhesive tape to be pre-set in advance, which ensures that the correct length is dispensed and cut automatically. This will save tape and time. With an automatic box sealing machine it is possible to seal thousands of packages per day.